Montagu is famous for rock climbing. A two hour drive from Cape Town, Montagu is the most developed sport climbing area in the Western Cape (if not the country). 100's of sport routes of all ranges of difficulty. +/-400 Single Pitch & a good few Multi-Pitch Sport Routes. Montagu offers some of the best climbing in the Western Cape with many crags that vary in grade and steepness with excellent quality rock. 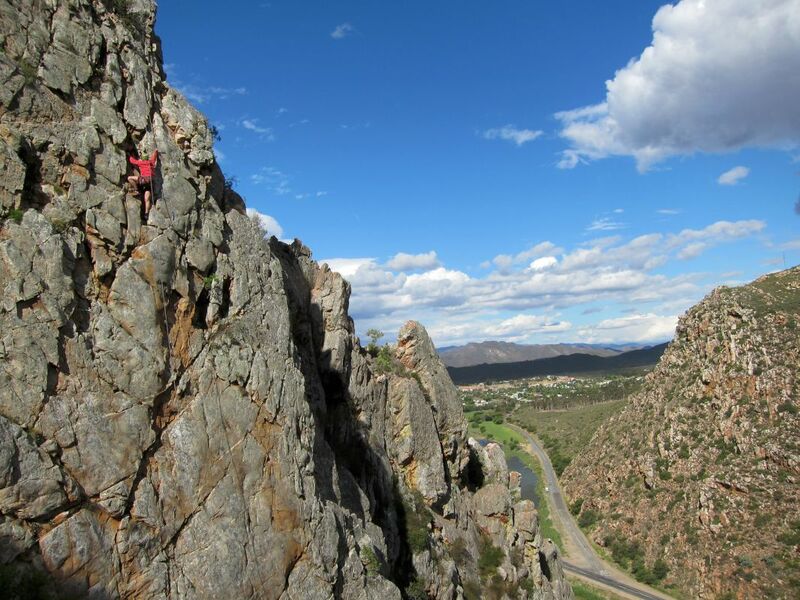 Because of Montagu's exceptional weather (with very little rain), when Cape Town has bad weather, Montagu normally has perfect conditions for climbing. If you are looking for climbing gear rental, climbing advice or a guided experience, contact Justin at Montagu Climbing. We will give you expert instruction and guidance at every level, whether it is your first time climbing or you are already an accomplished climber looking for the best spots. Registered Adventure Guide (Tourist Guide Registration number: WC7055). He holds a First Aid Certification and is fully insured for operating as a climbing/abseil guide.